The strategic environment has changed significantly since the end of the Cold War, and events since September 11, 2001 have dramatically demonstrated that we have entered a new era of conflict with difficult challenges to overcome. To meet these challenges, the Department of the Army requires enterprise services to create an information advantage by providing seamless collaboration and moving the power of information to the tactical edge. Implementing an Army Enterprise Email Service (EMCS) is a major step towards meeting these needs. Today’s joint force operations require extensive collaboration across organizational boundaries and rapid deployments to world-wide locations. To operate across organizational boundaries, our forces are hamstrung with excessive equipment (e.g., multiple user access devices), inefficient operations (e.g., multiple user email addresses), and suffer the consequences of reduced capabilities (e.g., unable to quickly find contact information for non-organizational personnel). Our current environment of disparate, loosely connected organizational email systems has inherent deficiencies that prevent net-centric operations and hinder cross-organizational collaboration. The Army plans to eventually consolidate existing email systems into a single enterprise email service. 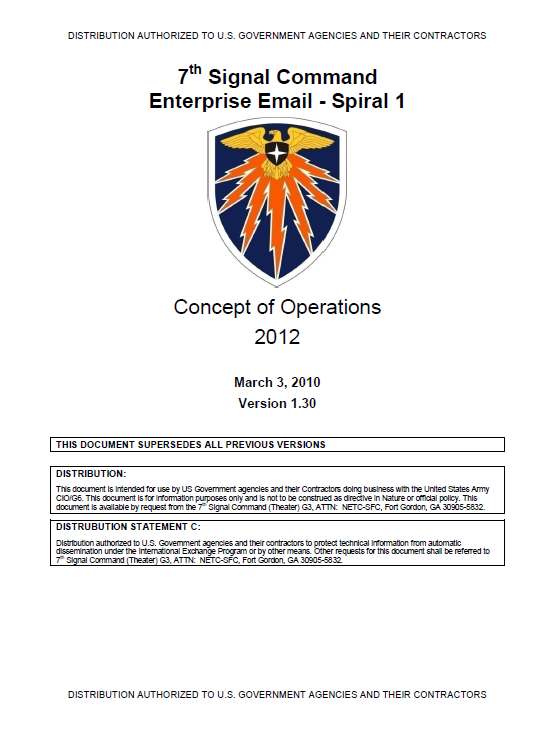 The ultimate end state of the Army EMCS is to provide operational forces with the ability to access email from any terminal attached to a DoD network in any operational environment. Forces can easily discover the contact information for, and exchange messages with, anyone in the DoD enterprise. Virtual teams, spanning organizations and geographical locations, can create dynamic distribution lists and share calendars. Deploying forces can seamlessly disconnect from the home station and reconnect at forward locations without the need for intensive, manual administrative processes. 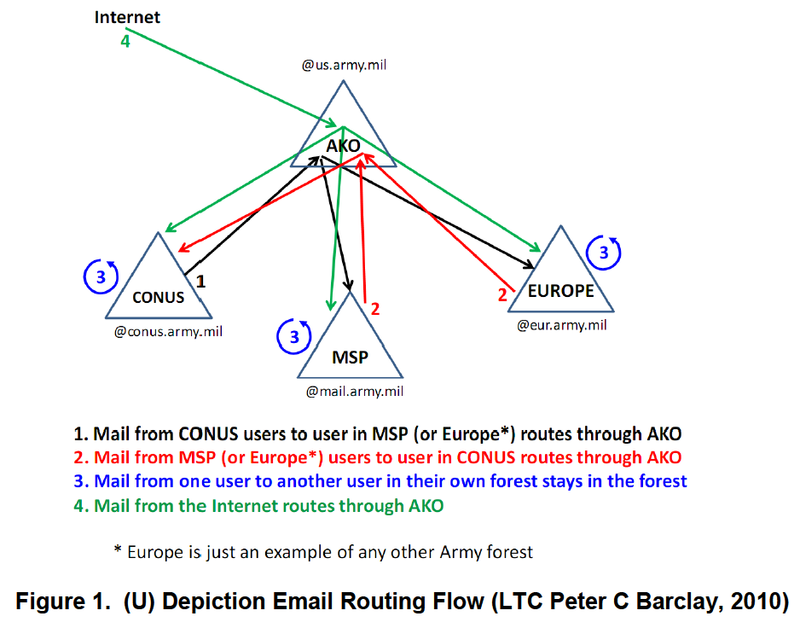 Distributed nodes at the tactical edge can operate as an integrated part of the Amy EMCS when network connectivity is available or operate stand-alone, providing local user email services when disconnected from the enterprise network. Forces have stable identities allowing full collaboration to leverage the collective knowledge of U.S. forces to defeat any enemy. The current acquisition effort is the first step in that direction. This initial effort is a learning opportunity for the Army. Future acquisitions may or may not be built on this foundation.